Right between Mag Mile and the lake, Streeterville is a bustling big city neighborhood. It offers some of Chicago’s premiere stores, restaurants, businesses and institutions, along with plenty of attractions for visitors. One of its most unique features is Navy Pier, a promenade on Lake Michigan that’s home to all kinds of fun, culture, and relaxation. When you’re moving to Streeterville, you’ll be moving to the center of the Chicago action–and as your Streeterville movers, we’ll help you get there. Around 30,000 people live in the Streeterville area. There are a few more women than men, and a few more single households than married households. Some people have kids: most people have either a Bachelor’s or Graduate degree. Their average annual income is $160k. Streeterville is built on a sandbar that was discovered and developed throughout the 19th century. The neighborhood gets its name from George Streeter, a citizen who attempted to claim the land for himself in the 1880s. While Streeter’s claim never stuck, his efforts, along with his not-quite-legit real estate practices, played a big role in growing the area into what it is now. Like the rest of downtown Chicago, Streeterville boomed in the 1920s, and remains a huge hub today. Now you’ve got the gist, here are some highlights—and basics—we found to help you start your Streeterville life. 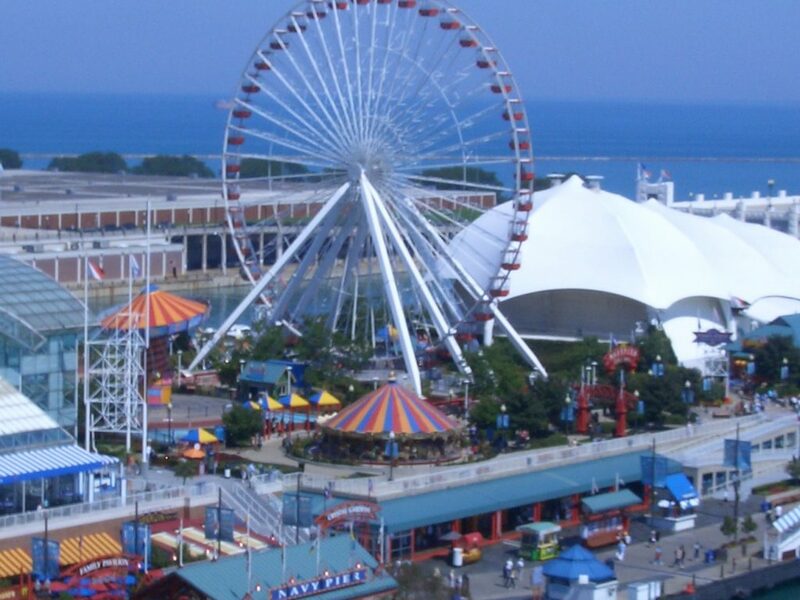 Navy Pier: Park space, a mall, restaurants, cruises, and rides–including a giant Ferris wheel. Chicago Children’s Museum: Learn and play on Navy Pier. Driehaus Gallery of Stained Glass: Free admission. Chicago Shakespeare Theater: Productions beyond Shakespeare, too. Arts Club Chicago: The very latest in galleries and exhibitions. AMC River East 21: Large movie theater with full bar. Lucky Strike Lanes: Bowling, lounge, food and events. Pizza: Gino’s East. Original location. Japanese BBQ: Gyu-Kaku. Grill at table. Diner: West Egg Cafe. Breakfast and lunch. Delivers. Diner with Bar: Flamingo Bar and Grill. Full menu and bar all day. Brunch: Yolk. Lunch as well. Light Bites: Cafecito. Cuban sandwiches and coffee. Low Key: Beatrix. Unique menu, coffee bar, and market. Seafood: Riva Crabhouse. Incredible lakefront views. Navy Pier. Fine Dining: Tru. French cuisine. Cocktails: GreenRiver. History-fueled mixes. Also a restaurant. Views: Tiny Tavern. Cocktails and food. Navy Pier. Pub: Lizzie McNeill’s. Right on the river. Rooftop: Streeterville Social. Open for good weather. Intimate: Niu Japanese Fusion Lounge. Sushi and cocktails. Arcade: FTW. Mini golf and prizes. More Games: Pinstripes. Bocce, bowling, patio, and full menu. Kid friendly. Treasure Island: Local “European-style” chain. Whole Foods: Full sized location. Bockwinkels: Local chain, open late. Cafe Descartes: Chicago chain. Serves gelato. Planet Fitness: Open 24 hours. Lake Shore Park: Exercise space for pets and humans. This has been a tiny sampling of the great things you’ll experience at your new Streeterville home. As a seasoned Streeterville moving company, we’ve learned all about the staples and cool places in the area. We’re happy to share more! As you’re planning your big move, cross one major thing off your to-do list, and book Streeterville movers who’ll a take load of stress off your mind. Call us at New City Moving, and we’ll help you move safely, smoothly, and on-schedule, so you can settle right in and start living your greatest Streeterville life.